Does throwing away piles of your children’s artwork make you feel sad? Do your children love stuffed animals? 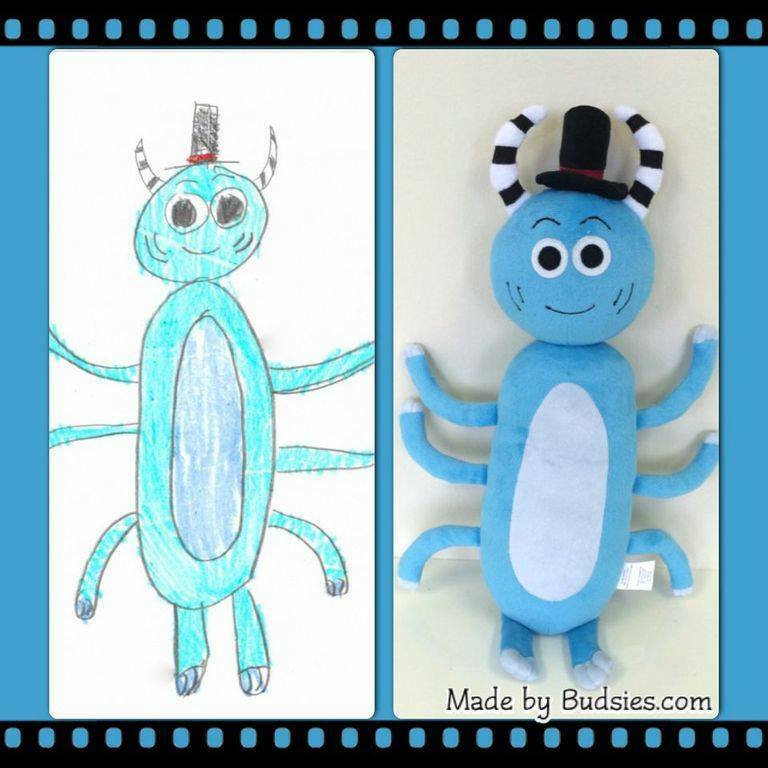 Did you know that Budsies can take your kid’s artwork and turn it into a unique and special stuffed animal? 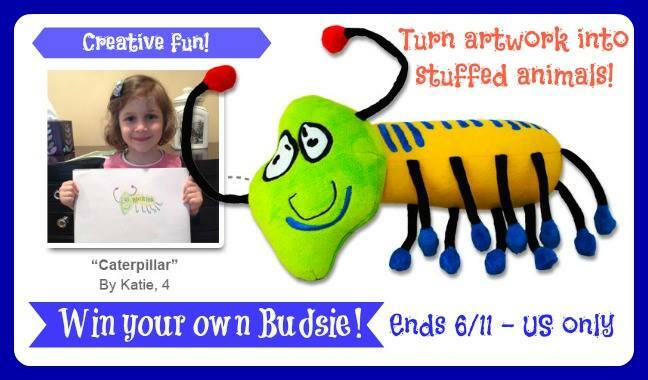 Budsies are custom-made stuffed animal from the child’s drawing: no pre-made patterns, just creativity & love. Kids love this gift more than any other toy: they made it! Makes a great keepsake for siblings, parents, and grandparents, too. Budsies are approximately 16″ in size. Be sure to read Mom Does Reviews full review here. April’s children LOVE their Budsies! One lucky reader will get to make their very own Budsie! I would love for my nephew to have this, he would probably make some kind of fantasy mix of different animals! My son would definitely make one that resembles our family dog. She would probably make a cat. My daughter would probably create a cat. I think my son would create a cat or owl budsie! My daughter would draw a dog or flower and my son would draw something that looks like a Skylander or a Superhero. My son is famous for his cats…so I’m sure we’d end up with a cat. My LO just made a butterfly bug clay creation. I’m sure she would choose this. we would make a super power princess! Omg! My daughter would have a blast doing this! She would probably make a pegacorn! Its some kind of an animal her and her friends made up! I would have one made by a drawing by me of my dog! Probably, um scribbles?! lol. But I’m sure she’d love a cartoon drawn by her Papa made!! This would be for my nephew. he loves to draw sharks. It probably would be an elephant. My grandson would probably draw a Star Wars character. My son would probably make some kind of dinosaur, and my daughter loves unicorns. Thank you for the giveaway!! My niece would probably draw a princess. She is very artistic. My child loves drawing pictures of our 2 dogs. I would love to win this giveaway! !